It’s that lawless few days between Christmas and New Year again, no one really knows what day it is, life is fuelled on ‘leftovers’ sandwiches and time has wonderfully slowed down. 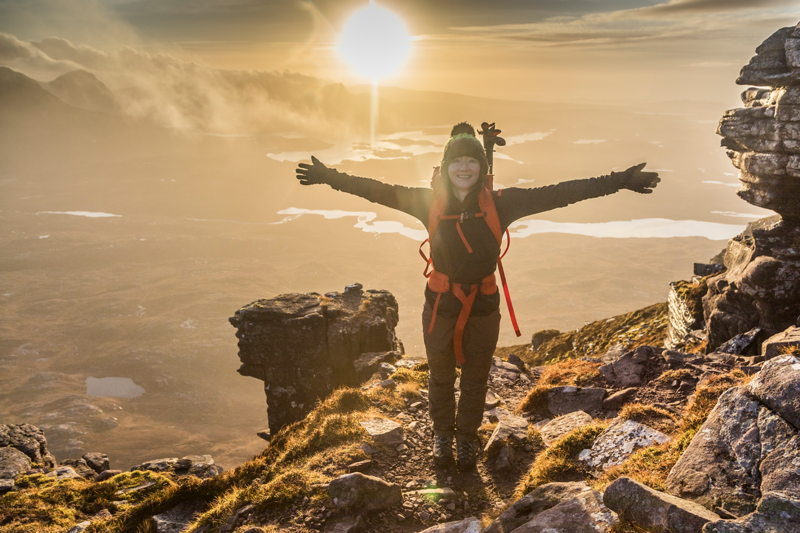 Packing our left over dinners we figured we could stretch a three day adventure on what we had remaining, what better trip than a classic journey to ascend Suilven via the lochs. 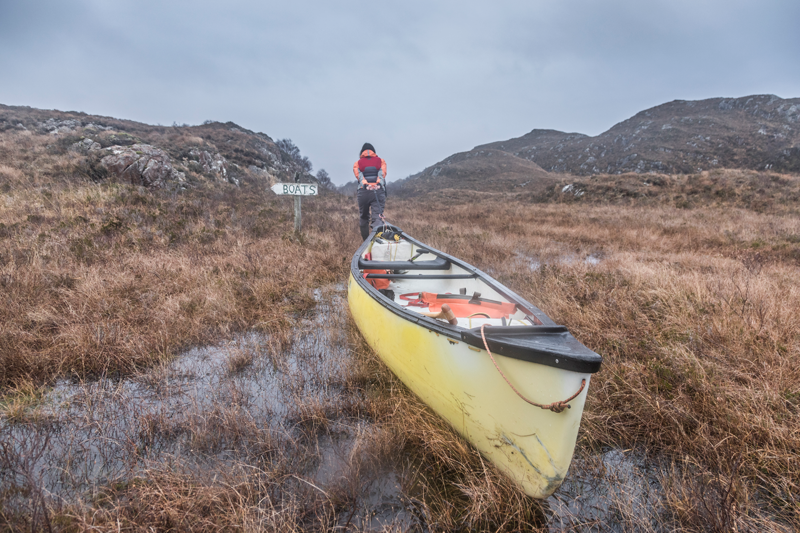 A forecast of a strong westerly wind prompted our start in Loch Sionasgaig. Heading west to east our plan was to traverse across to Fionn loch, climb Suilven then head home along Loch Veyatie with the wind at our backs. 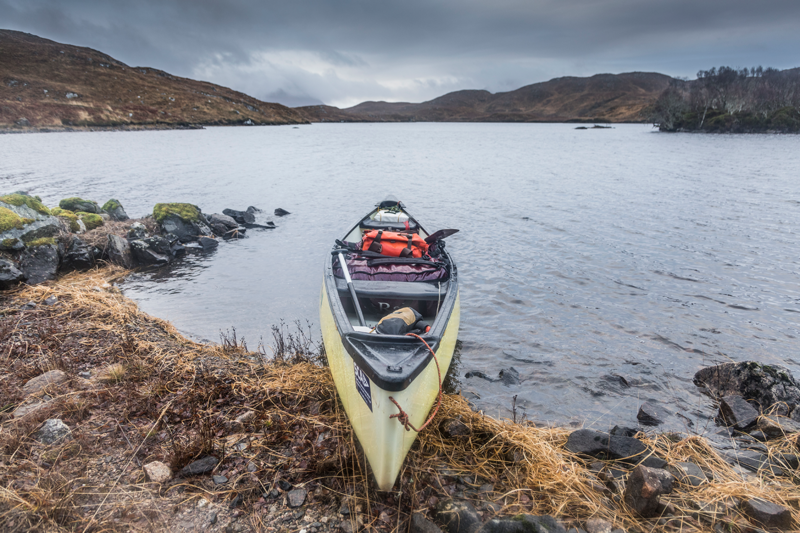 A short portage between Loch Buine Mòire and the aptly named Boat Bay where the fishermen moor their tenders. 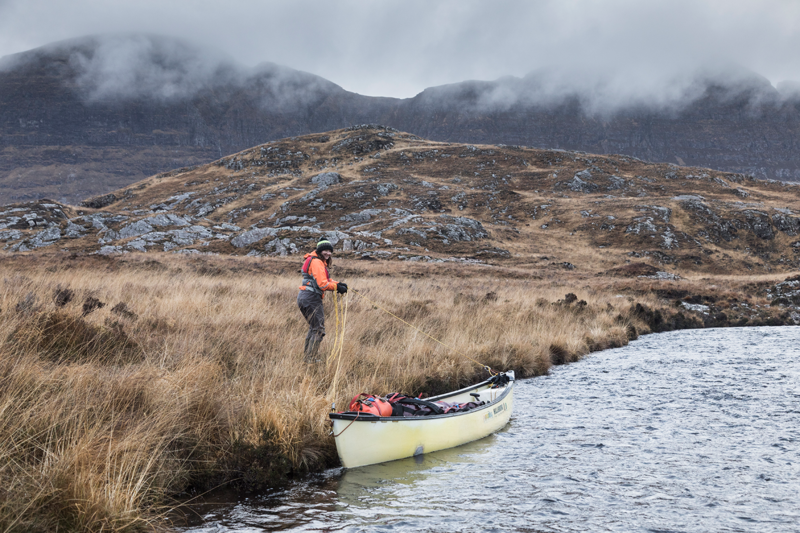 A low and soft rise separates the two which made for easy dragging and a terrific sense that we were heading into the wild. 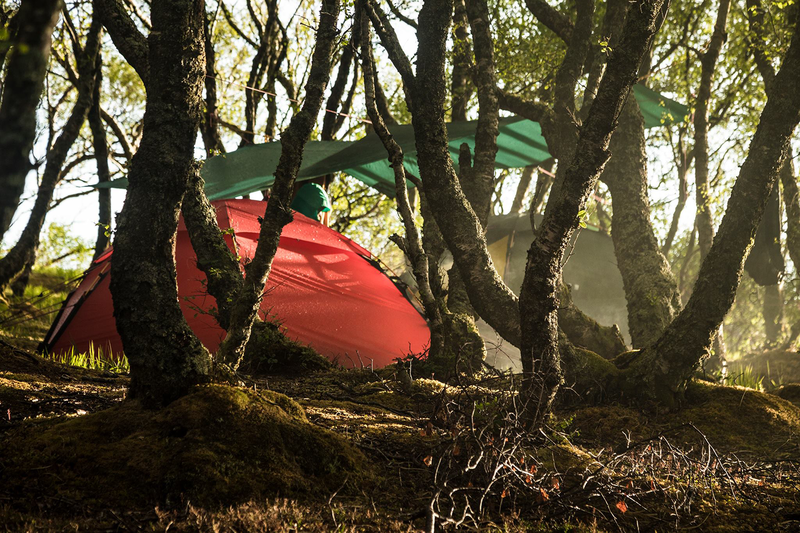 There are many fine campsites on Loch Sionasgaig from island peninsulas to sandy bays. 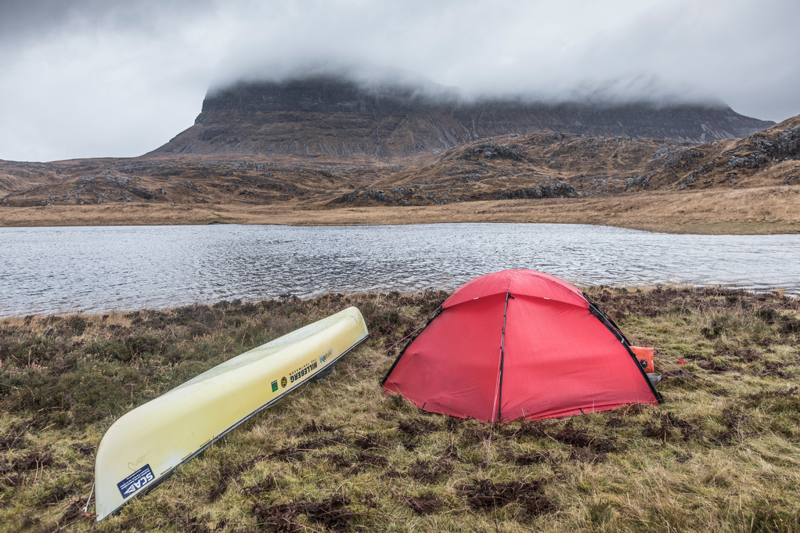 To shelter from the wind, we chose our favourite hidden gem which we nickname ‘Horseshoe Island’ after it’s shape. 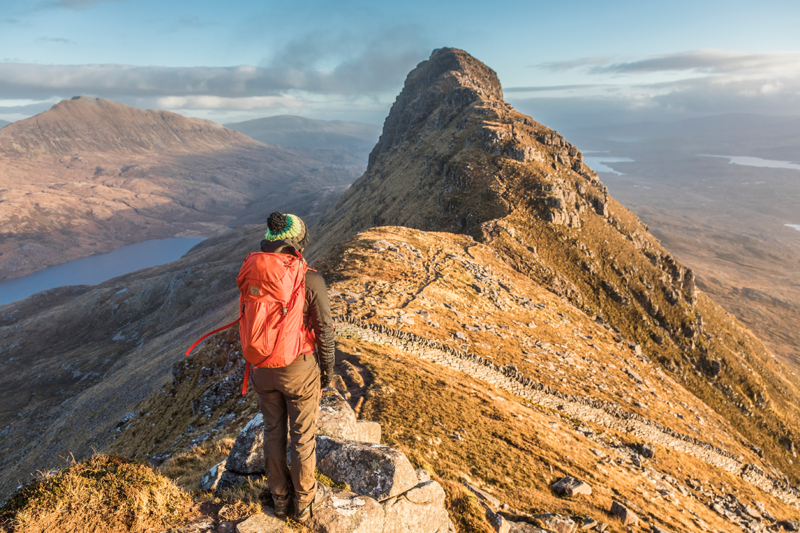 A perfect vantage point to enjoy the vista all around us to Cul Beag and Cul Mor, Stac Pollaidh and Suilven. The next morning a short paddle west into a sheltered channel led to portage number two and three. 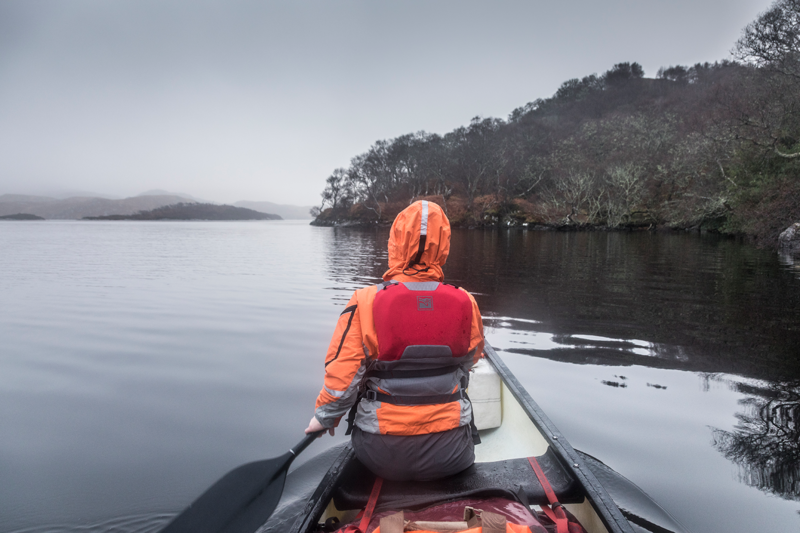 Here we first carried our bags, then pulled our canoe across to Loch a Ghille and again over to the River Kirkaig. 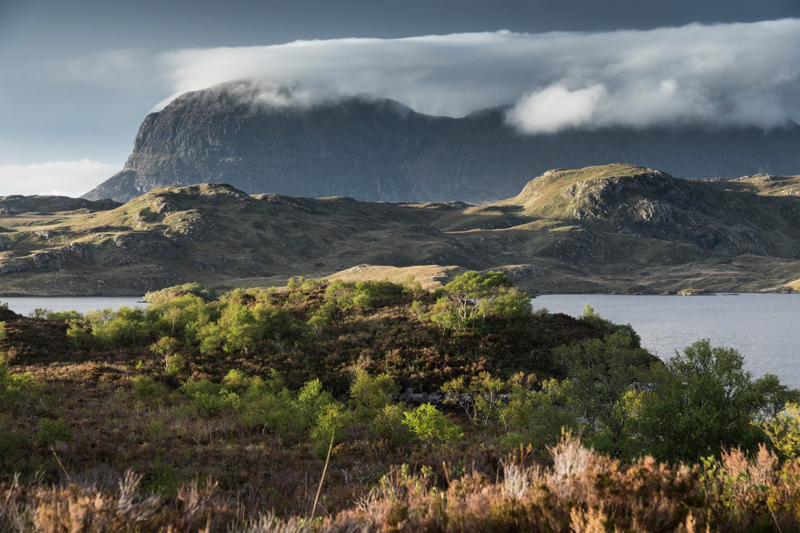 As we went we enjoyed a few chance encounters with the local wildlife; a sea eagle flying past, red deer on the ridges, a golden-eye on the loch and even a brief game of peek-a-boo with a sly weasel amidst the rocks. 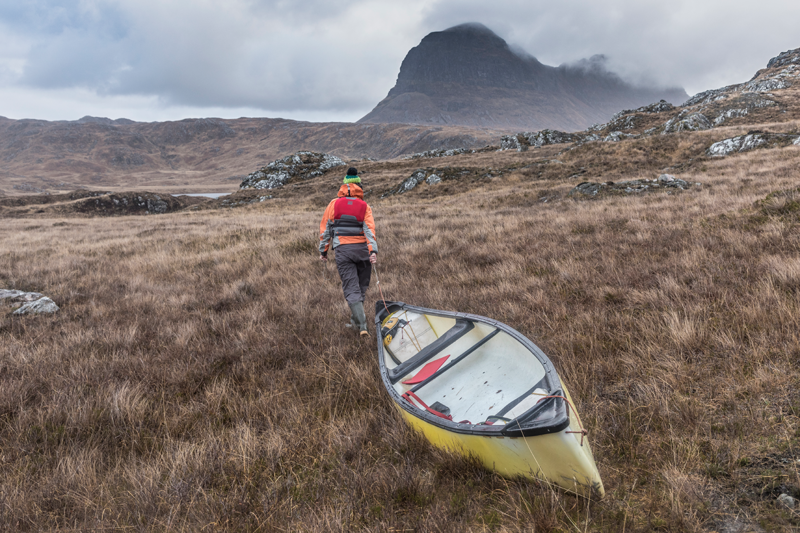 Leaving our canoe on the shore of Loch Fionn we packed for the hill and set off for Suilven. 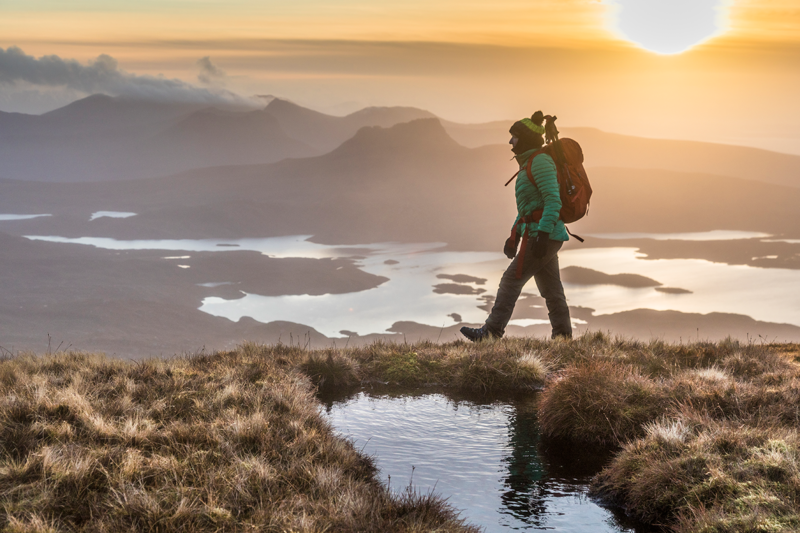 The key to ascending from the southern side is to wear ‘Scottish approach shoes’ (wellies). A wonderful winter light burned through the clouds behind us while the summits began to clear, giving us optimism for the summit. 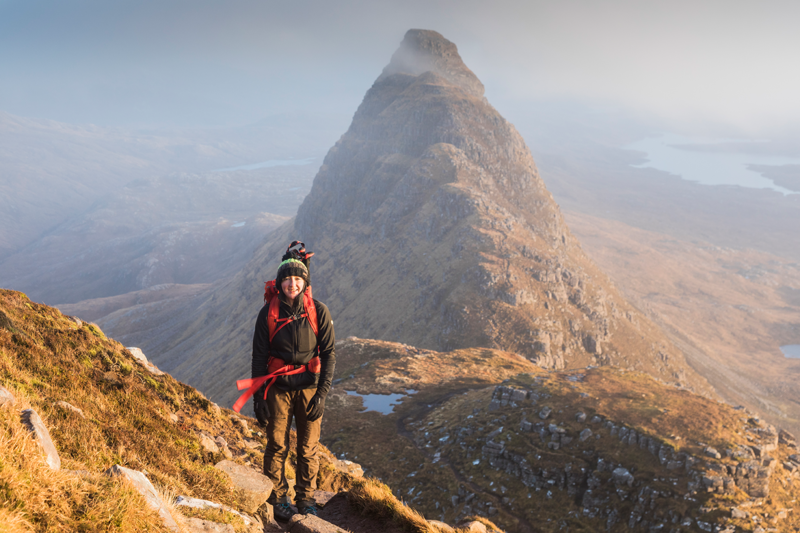 Swapping wellies for more appropriate walking boots at ‘the welly stone’, we began the steep ascent to the coll. Whilst intimidating from afar, the steep climb is a comfortable zig-zag trail that winds upward, we went slowly but without much difficulty. 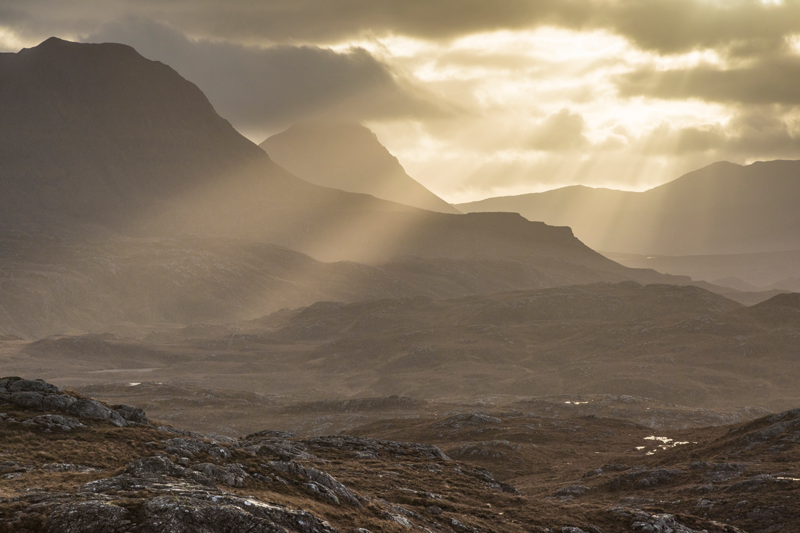 Once on the ridge, the views north to Canisp and Quinag were the reward for the effort put in so far. 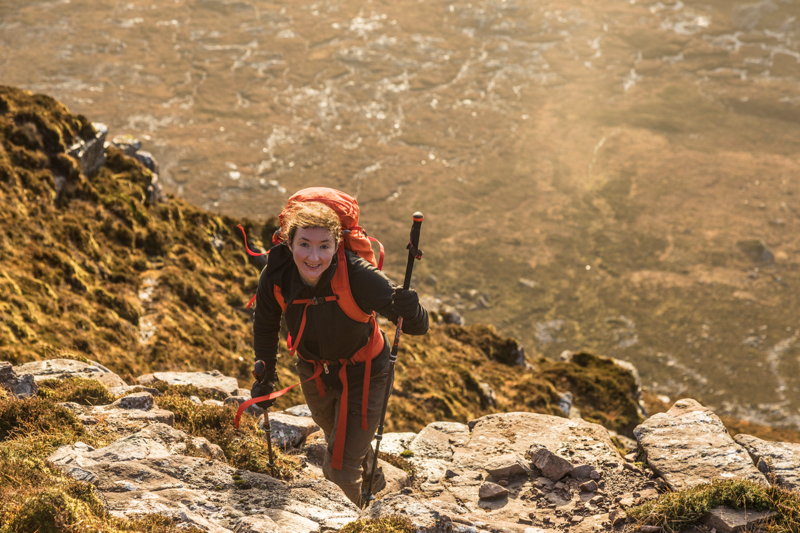 The final few hundred metres were wonderfully narrow yet simple walking, only a few hands and feet moments were needed to make the top. 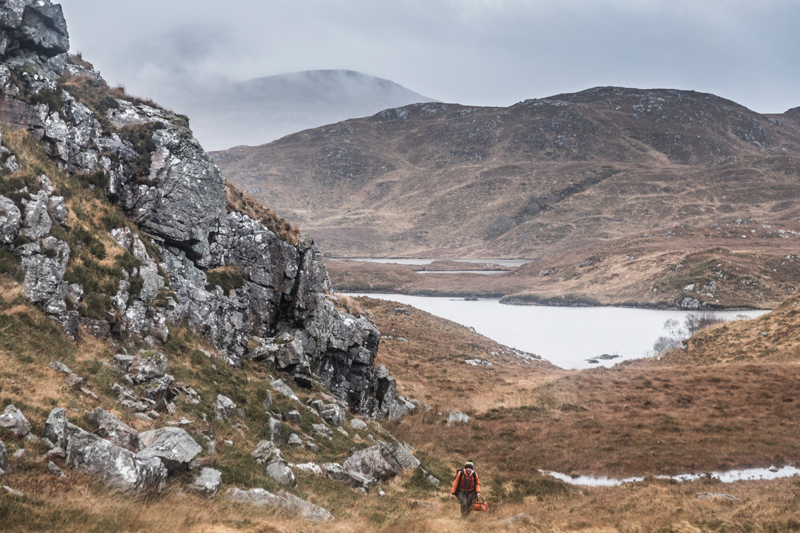 At our backs, the tremendous spine of one of Scotland’s most majestic mountains stretched out to the east. 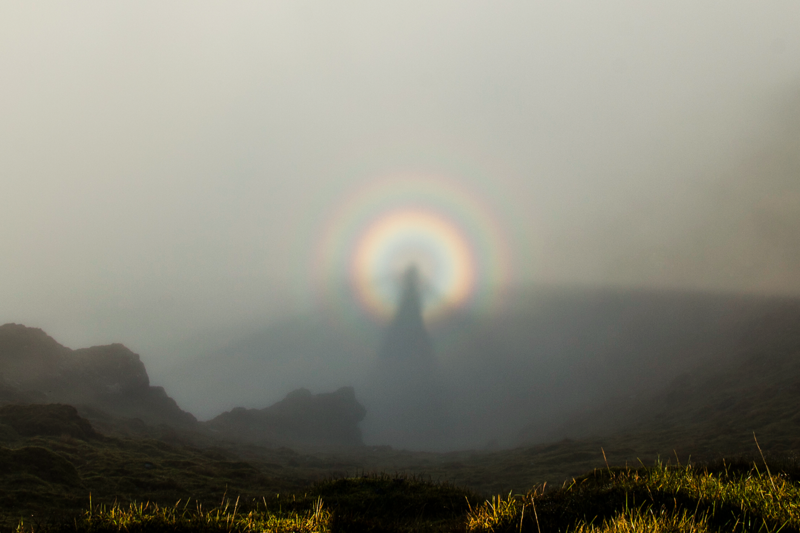 Winter brings the finest interplays of light and shadow to the landscape and this was no exception; we even had a brief glimpse of the illusive ‘brocken spectre’ as we approached the summit. 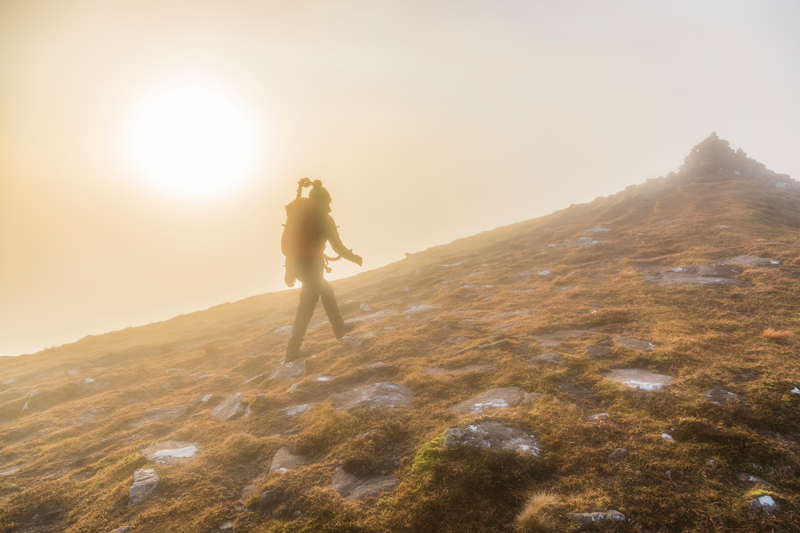 Emerging from ephemeral wisps of mist, we were greeted to a spectacular panoramic view. 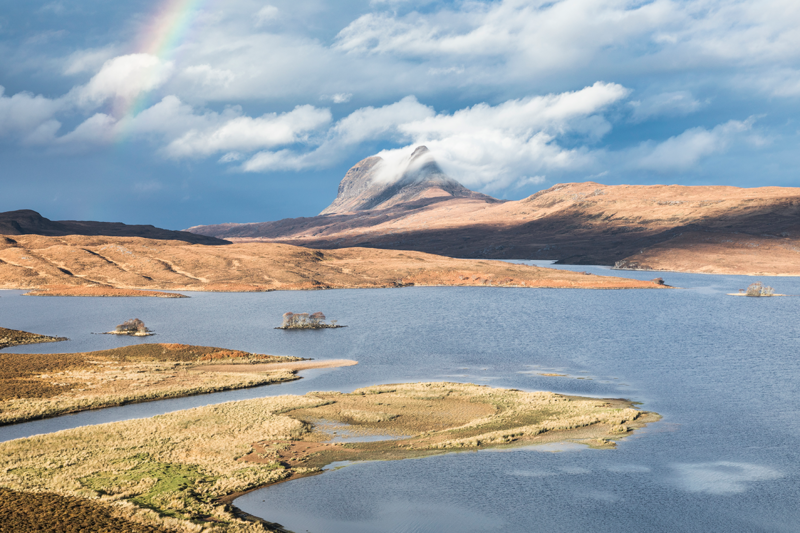 To our north, we could see Ben More Assynt and beyond; to our south, we looked over the remote lochs which we had come from and those we were yet to explore. 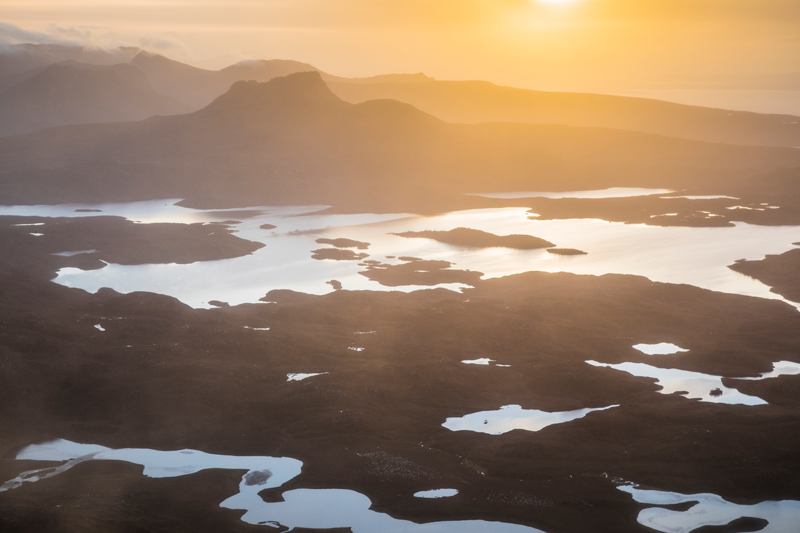 Stac Pollaidh and Ben Mor Coigach rose like castles on a golden horizon. 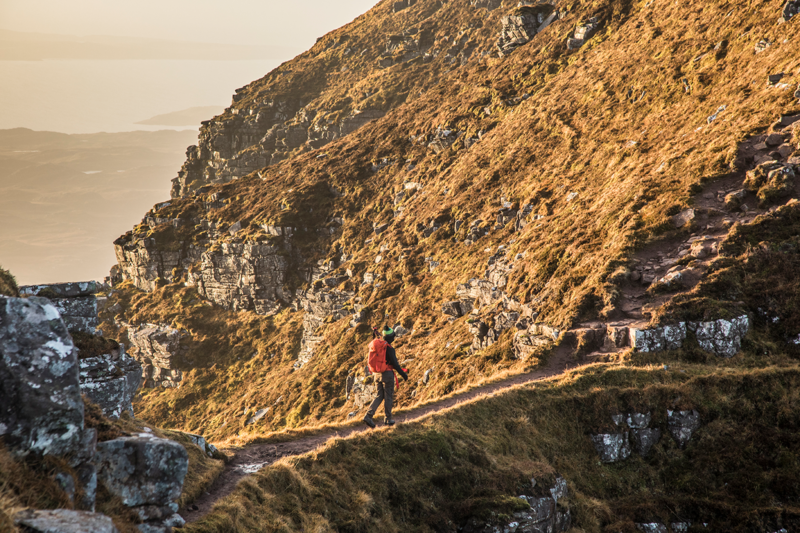 These are the moments we cherish forever and why we climb hills. The next morning we rose to a wetter, windier start; winter had returned. 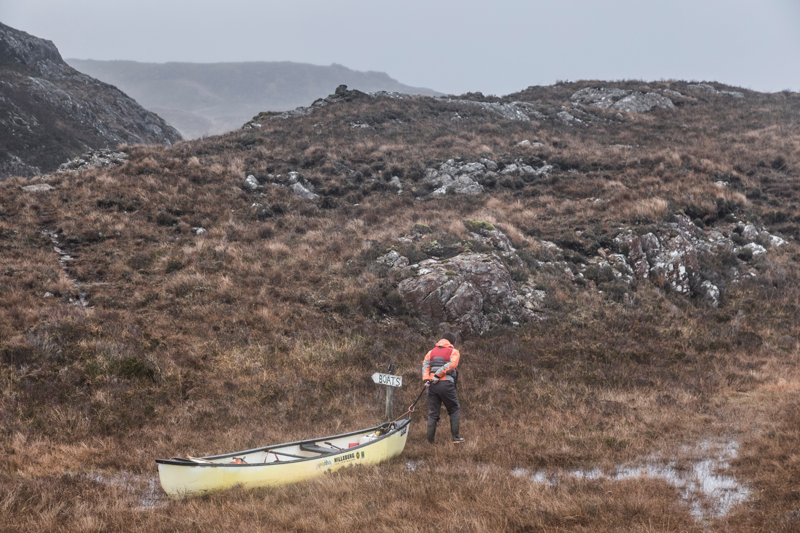 Packing camp away, we put lots of useful canoe skills into practice as we ascended the short Uidh Fhearna river. 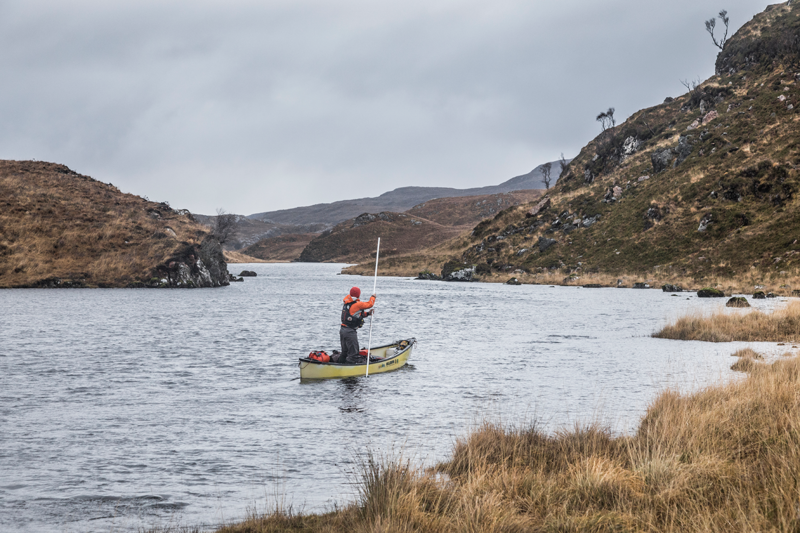 Lining the canoe along the shore or poling upstream made for swift and easy progress into western Loch Veyatie. 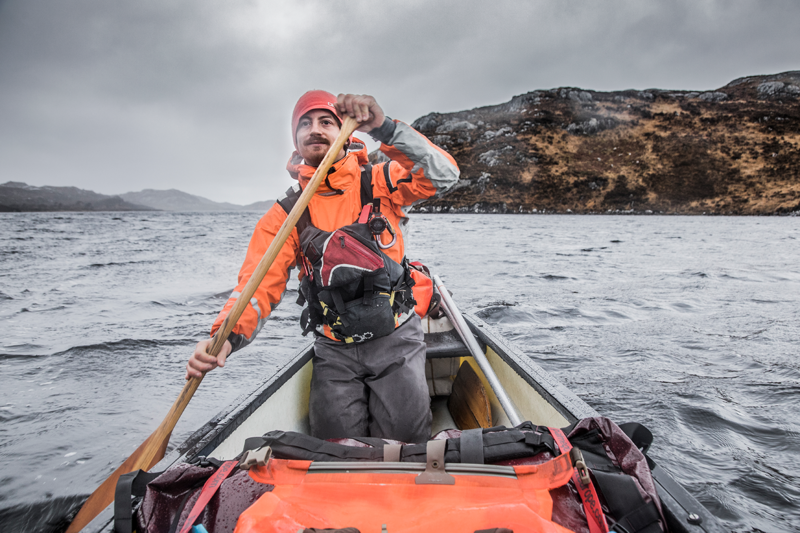 As was the plan, we had the wind on our backs which gave a welcome push along the loch. 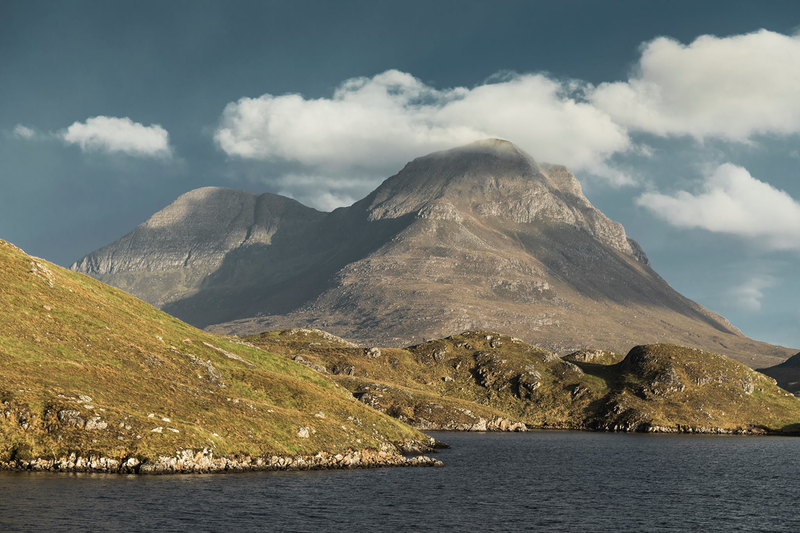 As we reached the lush limestone fields of Elphin and our van, we enjoyed one last look back to the mighty mountain over the last Christmas ham sandwich. Our last adventure before the new year successfully complete, we turned our sight to the next. Happy New Year everyone! See you in 2019!